If you’ve logged onto Instagram recently you might have noticed a shiny new button next to your DM’s. That little button is about to change the way you watch videos on social media. Instagram just birthed a new baby – IG TV, a new app designed for watching long-form, vertical videos from your favorite Instagram creators. Made for the way you use your phone – full screen and vertical. Content creators can publish videos up to an hour long and users can enjoy content from the people they already follow. Instagram is making a bold move challenging YouTube, but this is no surprise to us. When Instagram launched Stories in 2016, it threw jabs to SnapChat by imitating it’s content. If there’s anything marketers should take away from the launch of this new product is need for vertical advertising assets. 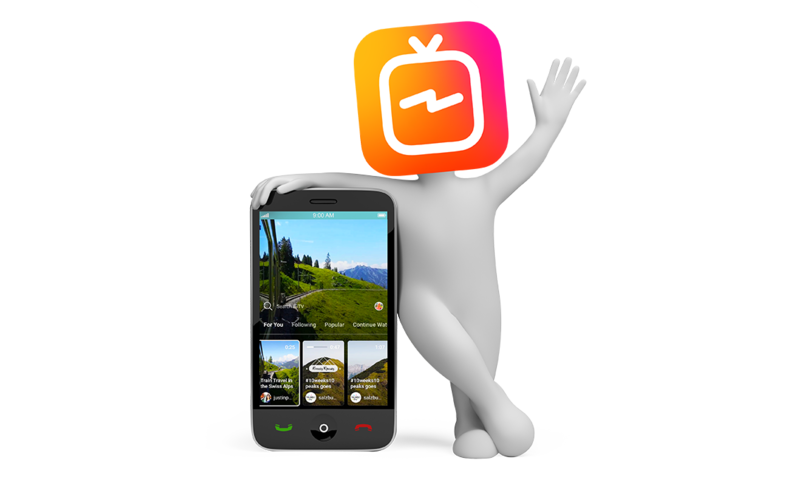 Right now there is no immediate placement for ads on IG TV yet, but there will be. We need to rethink the way we plan our advertising creatives. No longer can we think horizontal is the answer for all. The average user uses their phone vertically in their hand, making 16:9 video’s shrink down to a smaller size. Taking advantage of the 1:1 ratio on videos will take up more real estate on your phone. We need to test different aspect ratios and plan for new emerging social ad placement that have a mobile first approach – full screen and vertical.